So will it fit? 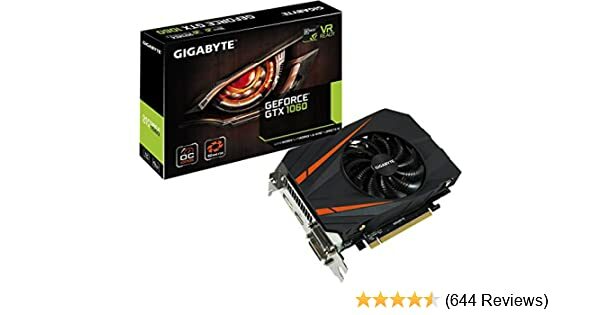 LINKS: https://www.amazon.com/Gigabyte-GeForce-GDDR5-Graphics-GV-N1060IXOC-6GD/dp/B01KQUDCQW?th=1&psc=1 https://www.amazon.com/ZOTAC-Graphics-IceStorm-Backplate-ZT-P10710G-10P/dp/B076S4RT1J I am aware that I need to upgrade my power supply. Click on the following page. A good source of information for your question. Will work fine. HOWEVER Secure Boot must be OFF and Legacy option roms ON. The Tower version has 300W power supply and works with full size power supply. HOWEVER 12 inch long video cards DO NOT FIT into the case. EVGA 750 B1 is recommended.